The police inquiry into Madeleine McCann's disappearance has been shelved because of a lack of evidence, Portugal's attorney general has said. Madeleine's parents, Kate and Gerry McCann, and a third British national, Robert Murat, are no longer formal suspects, he also confirmed. The McCanns, of Rothley, Leics, said they were "relieved", but there was "no degree of celebration". 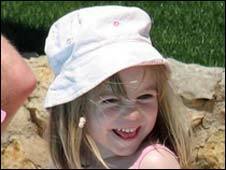 Madeleine disappeared in Praia da Luz on 3 May 2007, aged three. The McCanns and Mr Murat have all always strongly denied any involvement in Madeleine's disappearance from her family's holiday apartment in the Algarve. Attorney-general Fernando Jose Pinto Monteiro said the 14-month investigation had uncovered no evidence of a crime by any of the suspects or "arguidos". Speaking after the announcement, the McCanns' spokesman, Clarence Mitchell, said: "It's far too early to give their immediate reaction yet, but they are, of course, liaising closely with their lawyers in Portugal and Britain. "Once they have digested the content of the attorney-general's statement and any implications, they will give a reaction a little later this evening." 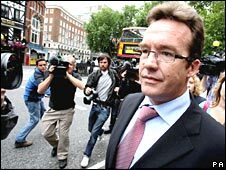 Mr Mitchell said lawyers for the McCanns would be able to examine the police case files by the end of the week. "The main thing now is to get everything back to finding Madeleine. All of this has damaged their good reputations and they will have to assess where they go from here," Mr Mitchell said. In March, Mr and Mrs McCann reached a libel settlement and got an apology from Express Newspapers for suggesting they had been responsible for Madeleine's death. Detectives submitted their final report at the start of July to prosecutors. The attorney general said the case could be reopened if new evidence emerged from any "serious, pertinent and authoritative source". Mr Murat told BBC News he had been "very relieved" when he heard the news with family and friends in the UK. He said: "I think it will take a couple more days to sink in and become reality. Mr Murat's aunt Sally Eveleigh told the BBC the news was "amazing". She said her nephew had only been trying to help with the search for Madeleine when he was declared a suspect. "We're all taught in Britain to help others and this is what happens," she said. Last week Mr Murat received a £600,000 settlement and apology after he brought a libel action over allegations about him in 11 British newspapers. Earlier, in an interview with the BBC, Goncalo Amaral - the former police chief who once led the Madeleine inquiry - said he believed she was dead. "The evidence that we had gathered by the time that I left the case pointed to the girl being dead - and having died inside the apartment," he said. "I don't know what happened next, I can't say. We'll have to wait for the case files to be made public." 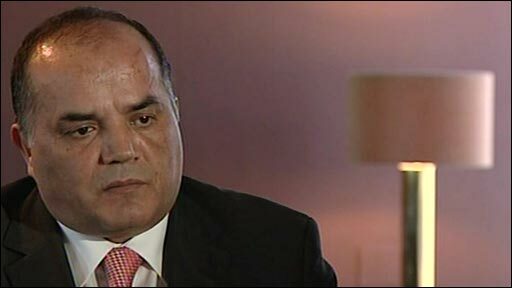 Mr Amaral was removed from the case last October after reportedly criticising the British police. He is now publishing a book about the investigation and denied that Portuguese police had failed to carry it out properly.